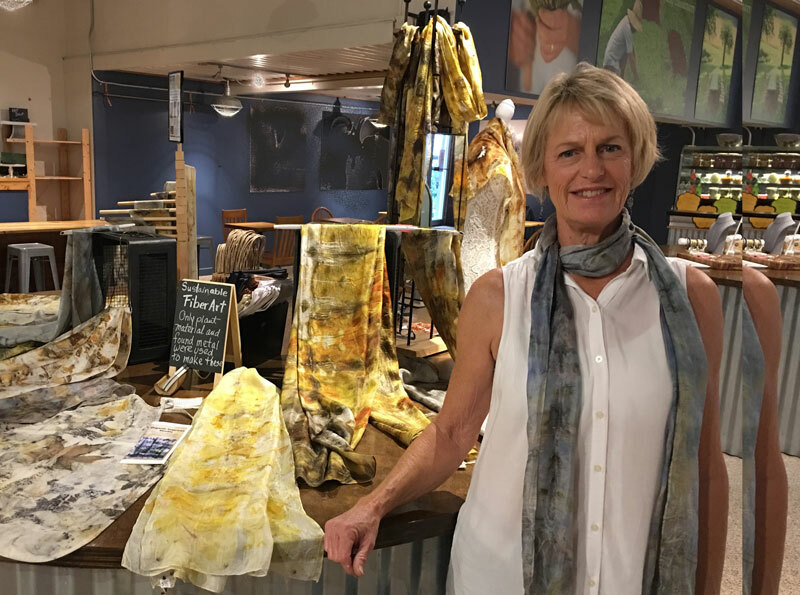 Kathleen Lang Metaxas will demonstrate her unique process of Eco-Printing silk scarves and cotton aprons this Sunday, December 16 from 11:30 am to 3 pm. Her work has been getting a lot of attention lately! 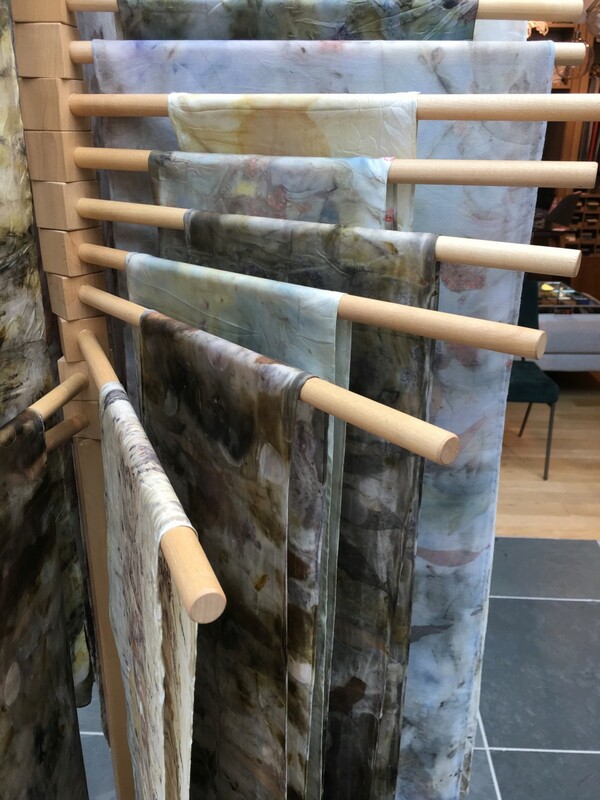 She has presented her work not only at Stockton Market but also at various boutiques in Bucks County and NJ. She is a working artist and instructor. Watch a short video of Kathleen here.